Most businesses need local online visibility if only so people can find your office for meetings. In the case of retail businesses, the importance of being found in the local sections of search engines is obvious. 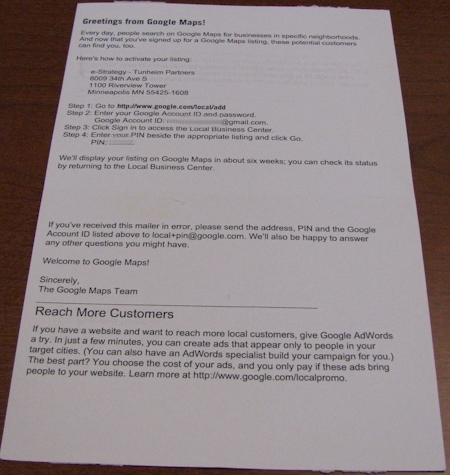 When examining search traffic to sites, I consistently see valuable traffic coming from local.google.com, local.yahoo.com or maps.live.com, for example. More often than not, traffic from these sites drive inordinately more new visitors to web sites. Unless your a national brand, more likely than not, those are new customers as well. These visitors tend to be heavily engaged in your site once they get there, spending more time at your site and viewing more pages than the average visitor. In short, these are high-value leads and therefore, it is important to ensure that your business listings are easily found. Search Engine Land has a couple of good articles on steps you can take to optimize your listings. Google, of course, is the 800 pound gorilla of search engines, so optimizing your listings there should be your first priority. 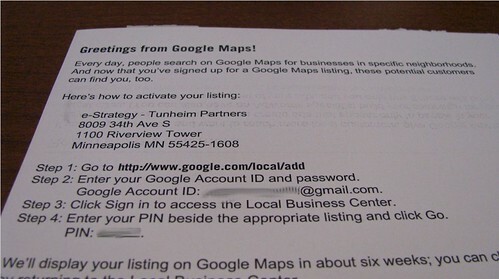 Thankfully, Google makes this process fairly easy with the Google Local Business Center. You can use your existing Google account but if you don’t have one, you can get one for free. First, do a search for your business at local.google.com and if your business already has a listing, click on it and a bubble will open on the map. Click on the Edit link and you’ll be able to claim your business from there. Google has a very nifty feature for validating your listings: They will make an automated telephone call to the number on the listing and provide you with a PIN number to punch in when you answer the phone, so validation takes literally minutes. But that’s not practical for businesses with multiple locations. 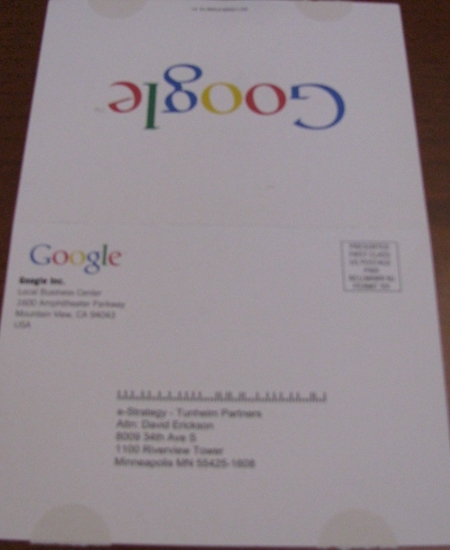 So in addition to phone validation, Google also offers validation through the good ole US Postal Service. They will send out a postcard to the address on the listing that includes instructions and your PIN number so you can complete the validation process online.